Die cutting machines - there are two main types of die-cutters: manually operated die-cutters/embossers and electronic cutters. 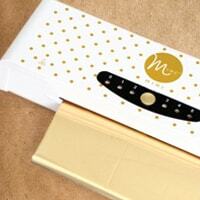 Foil machines - fuse foil to toner for fun and brilliant designs. 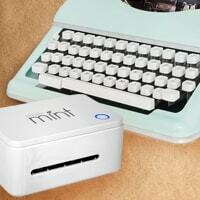 Other specialty machines - stamp-making, typewriters, etc. There are many different machines and they all perform somewhat unique functions. Some machines are designed to fuse foil, some emboss, and some just cut beautiful images, shapes, and fonts. There are even scrapbooking machines that integrate with computers (wirelessly), but if you don't like technology there are machines that you can operate the good old fashioned way. The type of paper craft project and how technologically savvy you are should determine the best craft machine for you. These specialty items come and go, so check back frequently for fun and awesome solutions for unique crafting. Over the years we've had stamp-making machines, screen-printing machines, typewriters, multi-purpose machines, and more. 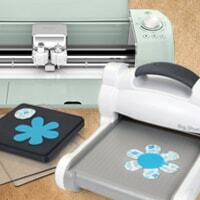 We are here to help you find the best scrapbooking machine to fit your personality and needs. As you scroll through our site, you can read about the many different machines we have to offer. Each machine has a unique ability and it i so important to find the one that is right for you. Don't let yourself get overwhelmed with the many choices, we are here to assist you with any questions you may have. Let us help you find your new craft machine. Be sure to check out our craft blog for inspiration using your machine.